Ivan Trichkovski, Krste Velkoski, Ilija Nestorovski and David Babunski managed to find the back of the net once, Goran Pandev assisted against his former side Napoli, Aleksandar Isaevski and Daniel Georgievski also assisted, while Stole Dimitrievski was surprisingly benched by Rayo. Artim Polozhani made the start for Flamurtari in central defense and was 90 minutes part of a defense that kept a clean sheet. Neither of the Macedonian internationals, Bojan Najdenov from the hosts and Bobi Celeski from the visitors, played in this match. Egzon Belica started in central defense for Partizani and played all minutes in the loss against Luftëtari. Daniel Georgievski opened at left-back for Newcastle and played 79 minutes. In the 63rd minute it was Daniel who delivered the assist for his teams equalizer scored by Irish international Roy O’Donovan. Tome Kitanovski made the start for the visitors and played until the 78th minute. Tome’s team opened the score early in the 2nd minute, but Sabah responded with three goals to take three points. Gjoko Zajkov got a rare start for Charleroi and was fielded as one of three central defenders. Zajkov lasted all minutes on the pitch and helped his team to keep a clean sheet in the narrow road win at Eupen. Emil Abaz wasn’t part of the visitors matchday squad. Jovan Kostovski didn’t make Leuven’s squad for this encounter. Djelil Asani started at left-back for Mladost and played the entire game as his team lost at home against Tuzla City. Krste Velkoski opened on Sarajevo’s left wing and netted his teams second goal with a right-footed shot in the 16th minute. Krste also wore the captain’s armband and lasted on the pitch until the 82nd minute. Furthermore he was part of the creation of the first goal as a teammate assisted with a header after Krste’s corner. Aleksandar Isaevski and Darko Glishikj faced each other as their teams split the points. Both featured the entire 90 minutes. Isaevski even assisted for the second goal in the 38th minute when his team took a 2:1 lead. Stefan Ashkovski started the game for Slavia and played until the 53rd minute when Darko Tasevski took his place. Arijan Ademi returned to action for Dinamo Zagreb after being sidelined the previous 6 weeks with an abdominal injury. He played in his usual defensive midfield role and saw his team defeat last placed Rudeš 2:0. Mirko Ivanovski played the last 10 minutes for the hosts, while Muzafer Ejupi spent the entire game on Osijek’s bench. Agron Rufati watched this entertaining match from the visiting bench. Darko Velkovski and Milan Ristovski‘s Rijeka suffered a rather unexpected defeat to Gorica. Ristovski spent the full 90 minutes on the bench whereas Velkovski was sidelined due to an injury. As usual, the Macedonian duo Ivan Trichkovski and Daniel Mojsov played another full game for AEK with Trichkovski scoring the opening goal of the match in the 79th minute. Davor Zdravkovski watched from the bench as AEL got defeated 0:3 by APOEL. Dushko Trajchevski played the full game for Alki and also got booked in the 5th minute of the stoppage time. Ezgjan Alioski played another full game for Leeds United as left back, and also got booked in the 30th minute. Leeds suffered a disappointing defeat which made them drop 3rd in the league. Damjan Shishkovski played the whole match for the hosts at the beginning of the new season in Finland. Nikola Jakimovski played the last 20 minutes of the game for the visiting side, while Davor Taleski did not make the matchday squad. Stefan Spirovski is still not ready to make a come back after the injury. Kire Ristevski played the whole match for the winning team and was shown a yellow card. Boban Nikolov returned to the starting line-up for his side and played 65 minutes before he was taken off. Vidi are in an excellent form but Spirovski’s Ferencváros still has a big advantage for the first place. Risto Mitrevski played the whole match for the visitors. Goran Pandev started the game for Genoa and played until the 62nd minute. He actually provided the assist to Genoa’s only goal of the game. He also had a scoring opportunity in the first half but his shot was saved by the opposing keeper. Being a former Napoli man, he was saluted by the home fans when he was taken off. Ilija Nestorovski decided the winner with his goal just a minute into the second half. He got booked in the 80th minute while his teammate Aleksandar Trajkovski played until the 87th minute when he made way for defender Roberto Pirrello. Very important win for heir Palermo against a direct promotion rival. David Babunski made a late substitute appearance when in the 86th minute he took the place of Genki Ōmae. He put the game away in the second injury minute with a composed finish, scoring his second seasonal goal. Ōmiya has 14 points after 8 rounds, just 3 points back from first place. Denis Mahmudov remained on the bench for the losing side. Antonio Stankov started on the bench for the visiting side and was brought on in the 57th minute. His side pulled off a big surprise as the hosts were big favorites before the game. Stefan Ristovski returned from a one match ban and played the full match for Sporting who cruised to an easy victory over Rio Ave. Sporting has gone 8 consecutive league games without a defeat (7 wins, 1 draw) while Stefan has become a fan favorite. The Sporting supporters appreciate his love for the club and how hard he consistently plays. Filip Gligorov wasn’t included in the home team’s squad. Besart Abdurahimi didn’t take part in Hemannstadt’s squad. Marko Simonovski wasn’t part of the visiting squad due to injury. Ferhan Hasani wasn’t included in the home team’s squad. Borjan Panchevski wasn’t included in Dinamo’s squad, same as Zoran Danoski for Radnik. Aleksandar Todorovski was in the starting lineup for the home team and played until the 63rd minute. Milosh Tosheski entered the match in the 82nd minute, but wasn’t able to help his team to avoid the defeat. Tihomir Kostadinov entered the field for Ružomberok in the 79th minute replacing Bosnian international Zinedin Mustedanagić while his teammate Yani Urdinov didn’t play at this game. Kire Markoski played until 83rd minute for Spartak when he made way for Nigerian international Musefiu Ashiru. Markoski was also shown a yellow card at 63rd minute of the game. He had a good game and created some decent opportunities for his teammates. Tomche Grozdanovski started in midfield for ViON and played till 89th minute when he was substituted by Oliver Práznovský. Grozdanovski also received a yellow card in the 85th minute of the match. Enis Bardhi played full game for Levante. He didn’t have his best game but did trouble the goalkeeper with a long range free kick. Surprisingly Stole Dimitrievski was Rayo’s second goalkeeper at this game. In his third game in charge, new Rayo coach Paco Jémez made a puzzling move, benching Stole for Alberto García. Stole had performed well the past two games, but a switch at GK was made. It ended up working out. 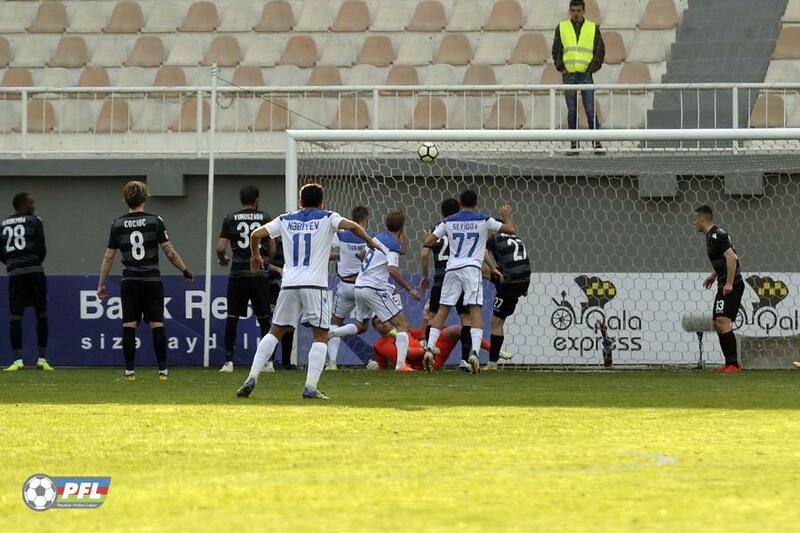 Rayo beat Valencia 2:0 and Garcia saved a penalty. David Mitov Nilsson sat at the home bench. Nikola Gjorgjev wasn’t part of Grasshoppers squad at this match. Leonard Zhuta played whole match for Konyaspor while his teammate Adis Jahovic played until 68th minute when Malian international Mustapha Yatabaré replaced him. Elif Elmas spent entire match at Fener’s bench. Stefan Jevtoski didn’t play for Arsenal due to injury.